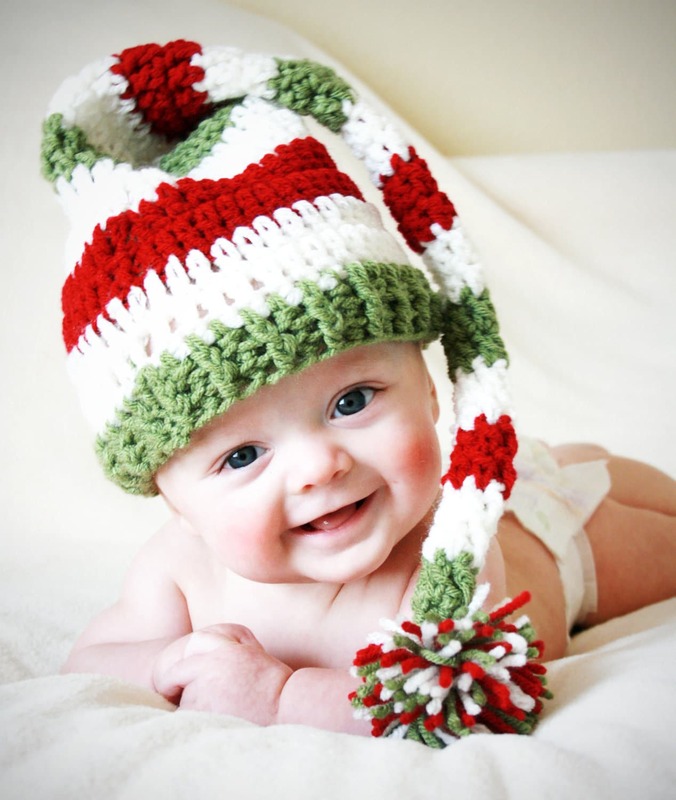 This elf hat, suspender diaper cover and leg warmers are a great photo prop and look adorable on any baby. Each hat has a pom securely sewn on the end of the tail. 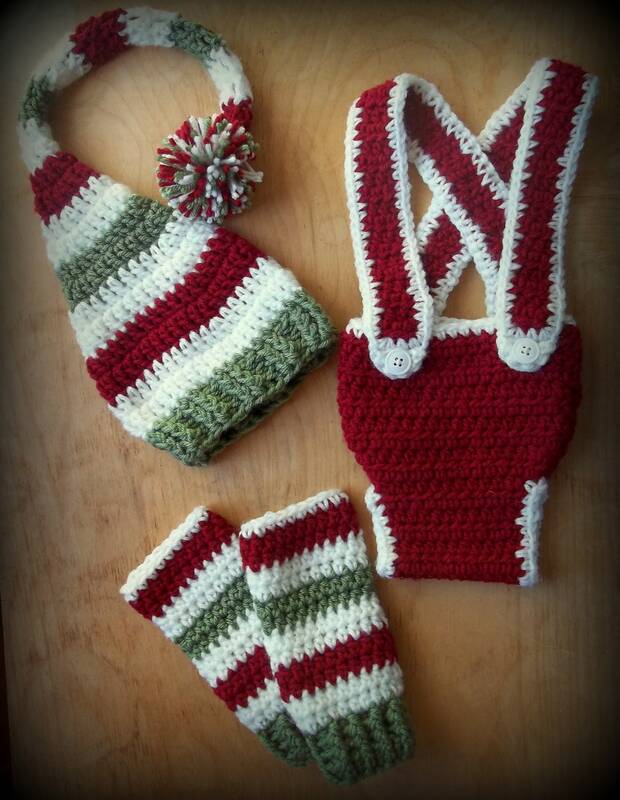 The legwarmers are available in newborn to Toddler lengths. 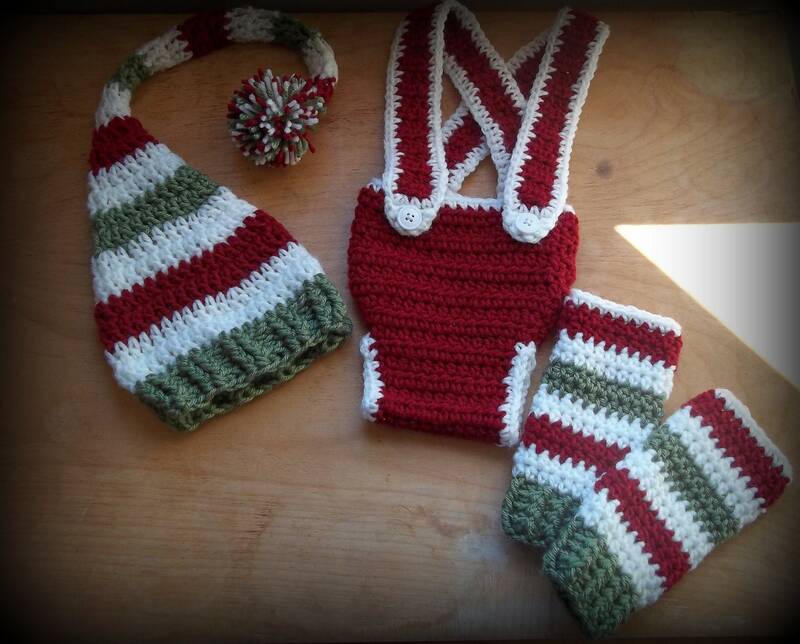 This listing is for any size from Newborn to 6 to12 months. Please specify which sizes you would like from the list below. This hat is made from 100% acrylic yarn. Hand wash only. Lay flat to dry. 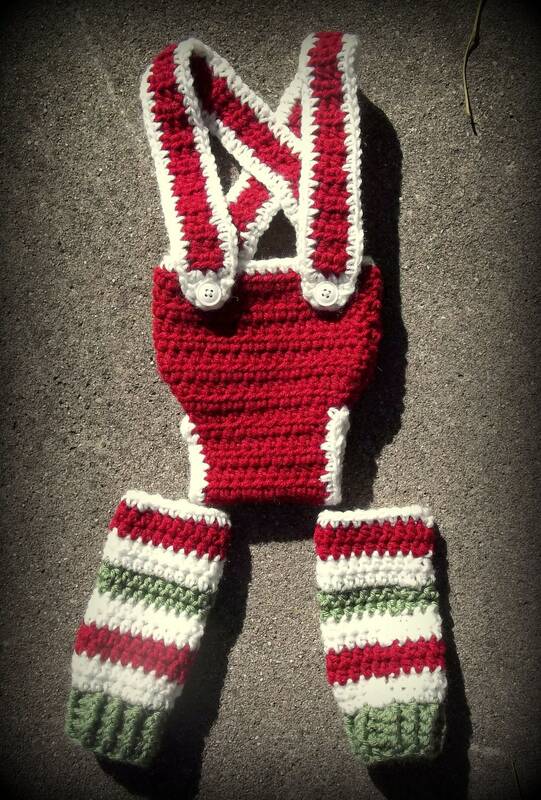 The elf hat and leg warmers are my own original design. 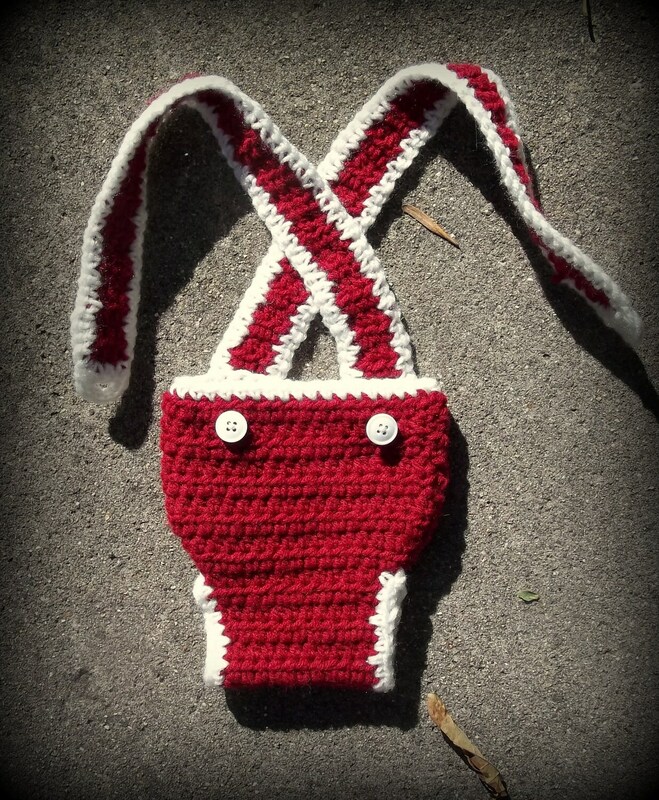 The diaper cover was made from the Suspenders and Bowtie Diaper Cover Pattern at Darling Derriere Designs on Etsy.